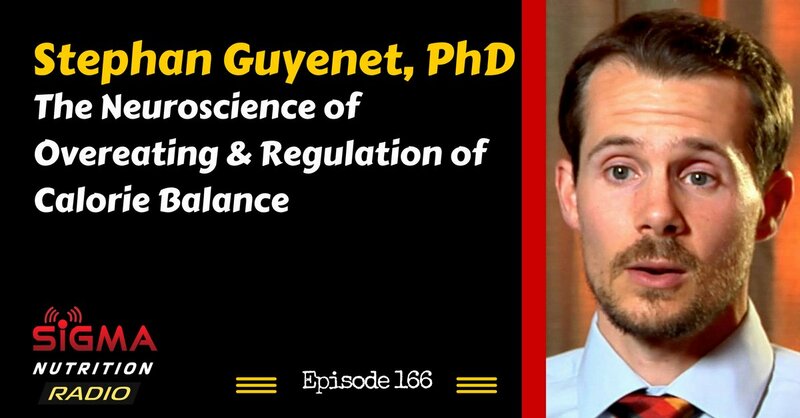 Episode 166: Stephan Guyenet, PhD discusses what drives us to overeat, factors affecting appetite regulation and calorie balance. Stephan is an obesity researcher, neurobiologist, and author. 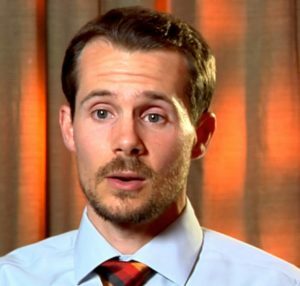 In addition to his research, he enjoys synthesizing and communicating science for a general audience over at his hugely successful blog. Stephan has a BS. in biochemistry (University of Virginia) and a PhD in neurobiology (University of Washington). He recently published the fantastic book ‘The Hungry Brain’, which dives into the causes of obesity from the perspective of overeating and related brain chemistry. What drives us to eat and specifically what drives us to overeat? Why are “trigger” foods different amongst individuals? SNR #88: Kevin Hall, PhD – The Physiology of Fat Loss, Weight Regain & Carb or Fat Restriction?